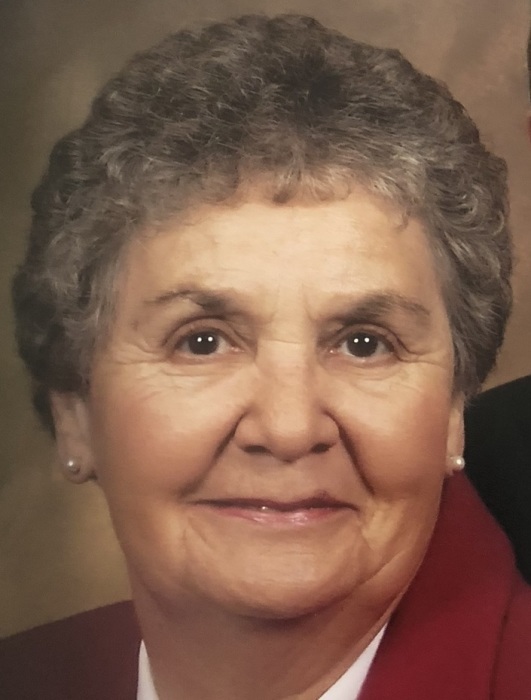 Doris Marie Wheeler Straub, 85, of Salisbury passed away on Monday, February 11, 2019 at Novant Health Rowan Medical Center. Born in Buena Vista, VA on August 16, 1933, she was the daughter of the late Elizabeth Wheeler. Doris worked as a food service manager for Hurley School and was active in the Milford Hills Lions Club. She was a charter member of Franklin Baptist Church, where she was a member of the ladies Sunday School class. Doris was a dedicated and loving wife to Leonard (L.E. ), husband of 58 years. She was the best of Mothers to Connie, Donna and Bucky and was a supreme example of giving unwavering support whenever there was a need. She loved to gather family around the table for meals and included anyone in the circle of family that could come. An overflowing house with family and friends was a joy to her heart. Doris gave selfless service to her family, church, and community. Guiding and inspiring children was her heartfelt mission. Doris is remembered for gathering the neighborhood children and reading Bible stories and passing out Bibles. She loved working at Rowan Helping Ministries Christmas store where she served many seasons. Doris will be deeply missed by her family and her large family of friends. She was preceded in death by her husband, Leonard Straub, Jr. and brother, Buck Wheeler. Those left to cherish her memory are her son, Leonard “Bucky” Straub, III of Landis; daughter, Connie Hoffner (Alan) of Mt. Ulla and Donna Wilson (Ronnie) of Salisbury; sister, Joyce Pugh (Lyle) of Buena Vista, VA; grandchildren, Chris Hoffner (Tara), Amy Poirier (Justin), Matthew Wilson, Sam Wilson, Sara Wilson, Ryan George and eight great-grandchildren. Service: 2:00 PM Saturday, February 16, 2019 at Franklin Baptist Church, 3810 US Hwy 601, Salisbury, NC 28147 with the Rev. Joe Thomas officiating. A visitation will follow the service in the Family Life Center. Burial: 11:00 AM Monday, February 18, 2019 at Rowan Memorial Park, 4125 Franklin Community Center Rd, Salisbury, NC 28144. Memorials may be made to Franklin Baptist Church.